You know the old saying in sports—“act like you’ve been there before?” When it comes to good etiquette, the same applies with Charleston, SC limousines. When you order your first limo, it’s important to know a few rules of etiquette to help keep you and your guests as comfortable as possible. Be clear with your limousine company. Number of guests. How many people will come with you on the trip? If you have a large party and aren’t sure how many will attend, do your best to create an accurate estimate. Destination(s). Don’t add or subtract destinations at the last minute if you can avoid it. It’s better to have a plan in mind. It’s not that drivers can’t be flexible; it simply makes for much less worry on your end. Any extra requirements or amenities. Do you have a guest with particular needs, or did you want to plan an anniversary surprise that will come with the limousine? Let us know ahead of time so we can arrive early and accommodate everything you need. Be polite to your limousine driver. 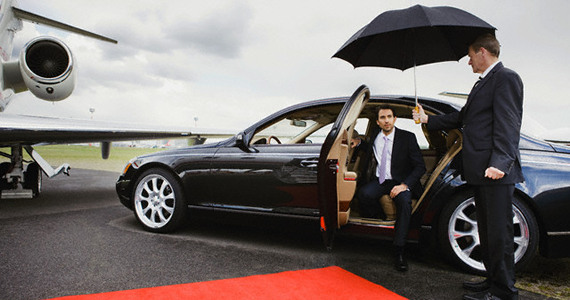 Most good limousine etiquette means being polite and kind to your driver. They’re there to drive you around, after all. Try to avoid asking the driver to “speed up.” Remember, your driver has to follow the rules of the road and often protocol with the company that employs them. If you have any special requests, do your best to make them with the company upfront so that your driver doesn’t have any surprises along the trip. It’s not only polite to the driver, but it will help you ensure that you have a great Charleston, SC limousine experience. Stay seated when possible, don’t knock around the limousine, and certainly don’t try to distract a driver who’s simply trying to get you from A to B as safely as possible. Sure, some limousines come with a little more freedom than your standard car, but that’s not an excuse to turn a party bus into something far beyond what it’s designed for. Remember how we told you to accurately estimate your party size? An over-stuffed limousine is a safety hazard as well, so that plays a role here. And when you do have a large party, make sure to be a responsible host when it comes to serving beverages. Don’t break the law or go outside the rules, or else you might put the driver at risk as well. It doesn’t take much to practice good Charleston, SC limousine etiquette—just a little common sense and plenty of preparation. Complete all the steps above and you’ll be free to focus on having fun. The most important step of all? Book your trip with a leading Charleston, SC limo company!